Get the insights on the latest technology and business trends from leading experts in the payment space! Chiedu Okeke, CEO at OROBO, a money transfer fintech in Nigeria, speaks on what's up in payments in Africa and why OROBO has chosen OpenWay as a partner to empower their money transfer business. Together with OpenWay, OROBO is aiming to support the financial inclusion in West Africa by building a platform for cross-border remittances and bill payments into Nigeria, Ghana, Kenya, Sierra-Leone. This is the first piece from series of interviews with our clients that we shot during OpenWay Club 2018. Stay with us to watch the next one! Expanding your business to become the preferred digital wallet and banking provider? Looking for payment innovations to attract even more customers? OpenWay, the top ranked digital payments software vendor, gladly invites you to Dot Finance Africa 2018 on February 21-22! 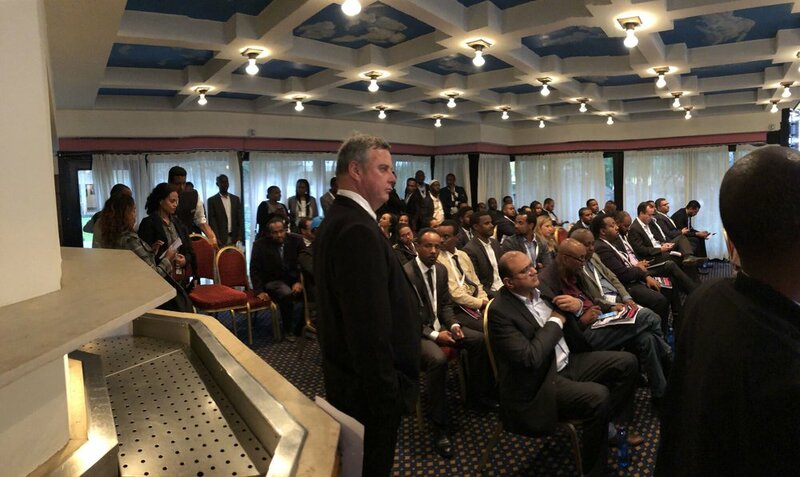 Join OpenWay at Africa's flagship fintech event! We’ll present a new wallet solution and showcase our breakthrough payment innovations adopted by the leading financial institutions in Europe, the Middle East and Asia. OpenWay holds #1 global ranking in Card Issuing and Merchant Management and top global ranking in White-Label Digital Wallets (according to Gartner and Ovum reports in 2009-2017). We serve 135 banks, processors, payment switching, government agencies, telecom, fleet and oil companies in the Middle East, and Africa, Europe, the Americas and Asia. We are proud to be the trusted vendor for Equity and Chase Bank in Kenya. Let’s meet at Dot Finance and shape the future of payments in Africa together! OpenWay is supporting Seamless North Africa 2018, the biggest, boldest and best payments and e-commerce event in the region, as a sponsor. Whether you are ambitious financial startup or tier-1 institution and looking for a solution to transform your digital payments business in North Africa, visit our stand #B3. We will be glad to discuss your requirements and business strategy and to present WAY4 – the global leading digital payments software platform. WAY4 platform is a highly configurable system able to work across different channels on the front-end and be available 24/7/365 online on the back-end. Thanks to its flexibility, WAY4 can be fully tailored to local market requirements and customer preferences in North Africa. You can meet our team and explore WAY4 demos at time and place most convenient to you. Let's schedule it now! 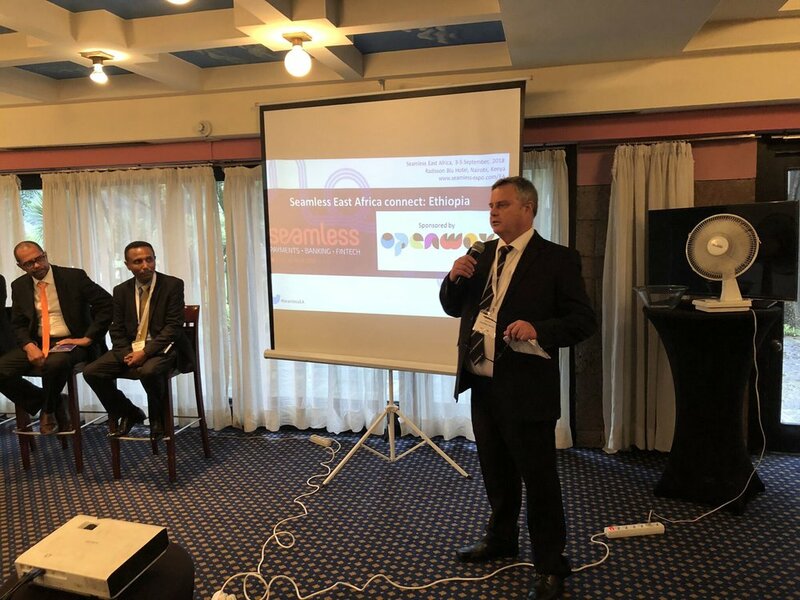 OpenWay, the top ranked WAY4 digital payment software vendor, is launching the series of events in East Africa in order to expand our footprint and to bring the leading innovations in omni-channel digital payments to the region. We are happy to announce our 1st event of the series - DIGITAL BANKING LEADERSHIP KENYA 2017! It is an exclusive networking event devoted to the latest digital and omni-channel strategies, challenges in developing services for the unbanked and extending services for existing clients. We will showcase the best breakthrough payment innovations adapted by the leading financial institutions in Europe, Middle East, and Asia. C-level executives, directors of IT, retail banking, and digital innovations divisions of Kenyan banks, processors and payment providers. The knowledge-sharing session will be followed by a networking cocktail reception. Equity, the leading bank in Kenya, has migrated to OpenWay's WAY4 payment processing system. With WAY4, Equity can work as a payment switch and launch new services for retail customers, including acquiring EMV cards and interacting with M-Pesa mobile accounts. Participation in the M-Pesa project has secured the bank’s position in the promising micropayments market. “The new system not only gives Equity a strong competitive advantage in cutting edge technology and card management, but allows speedy and efficient transaction process in real time, and in all currencies,” stated James Mwangi, CEO of Equity Bank. The bank leverages WAY4 to work as a payment switch and optimise the financial interaction of its branches, offices and partner banks in the region. Furthermore, Equity ATMs countrywide allow M-Pesa users to withdraw cash from their mobile accounts. The M-Pesa system allows mobile payments and transfers without the necessity of opening a bank account. These services are used by ten million people in Kenya, many of whom are unbanked. Thanks to participation in the M-Pesa project, Equity not only expands its business in new directions but also gets the opportunity to offer its retail banking products and services to a large potential customer base. Equity’s success confirms the advantages of the WAY4 processing platform as a powerful new generation switch, or, as it’s more often called today, a payment service hub. «We are happy that WAY4 switch functionality helped Equity to transform possible competition into a strategic and profitable partnership. The experience OpenWay has gained from this project will benefit all our clients who set ambitious goals in the area of micropayments», adds Wim Pardon, Managing Director of OpenWay EMEA. Equity Bank of Kenya (www.equitybank.co.ke) is the largest and fastest growing bank in Kenya, with 4.5 million client accounts that constitute more than 54% of all client accounts in the entire country. The bank also has branches in Uganda and South Sudan. Equity Bank has a reputation as an innovator in banking and financial services. Equity Bank has fully migrated to the WAY4 card management system from OpenWay Group of Belgium that allows M-Pesa account holders to withdraw money from the bank’s 550 Automated Teller Machines countrywide. The WAY4 system, an online card management system, is designed for multi-institution and multi-currency transaction processing and with a capacity of 180,000 transactions per minute. The system which received the highest rating from Gartner, which rates software in the world, also provides support for non-card transactions over multiple self-service channels. The new system is set to increase efficiency in Equity Bank Point of Sales outlets and ATMs in the region, the company said in a statement. 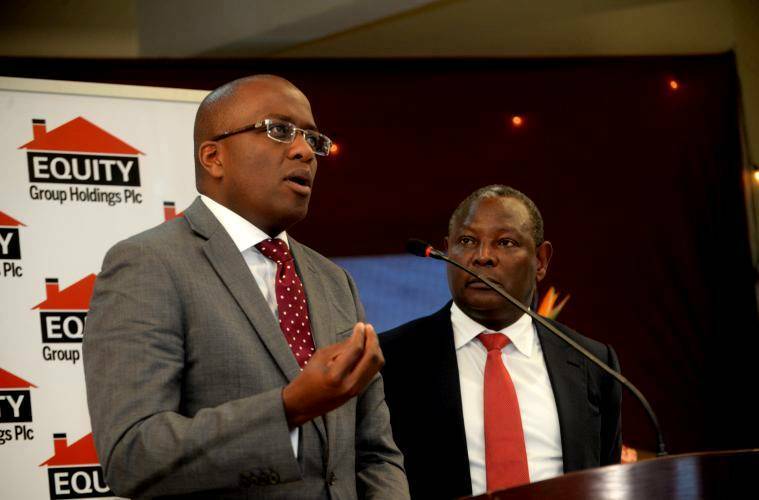 Speaking during the signing of the partnership with OpenWay Group, Equity Bank CEO James Mwangi said the system has the capacity to host the combined network of Equity Bank branches, subsidiaries and other banks at reduced costs. “The system not only gives Equity a niche in terms of competitiveness in cutting edge technology and card management, but allows speedy and efficient transaction process in real time, and for all currencies,” Mr Mwangi said. He said Equity was among the first banks in the region that are able to handle regional inter-switching connectivity. He added that the new switch system would come in handy with the recently launched partnership between Equity Bank and Safaricom that allows M-Pesa account holders to withdraw money from the bank’s 550 Automated Teller Machines countrywide. Published in the Daily Nation magazine. M-PESA is the first Kenyan commercial mobile payment and transfer system, created in March 2007 by Safaricom with the support of Vodafone. The system was created for people who don’t use bank services. This innovative project turned out to be in high demand on the African market. According to information as of March 2010, M-PESA has over 9.5 million subscribers, served by 17,500 agents.